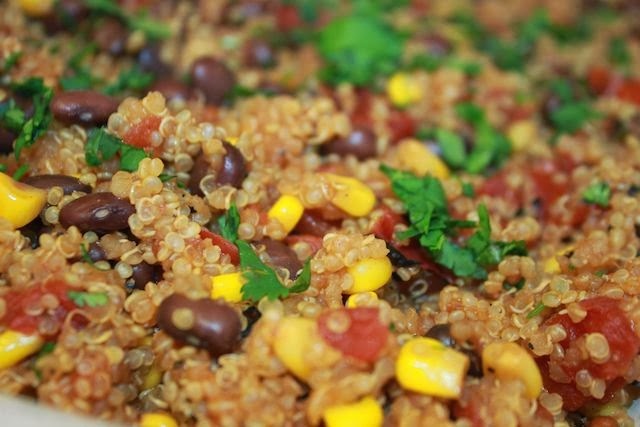 Getting back to my gluten free diet had me experimenting with different types of foods, including quinoa, which is always a safe bet. I've made quinoa dishes many times before, and therefore was looking for something a little different to keep us excited about eating it. 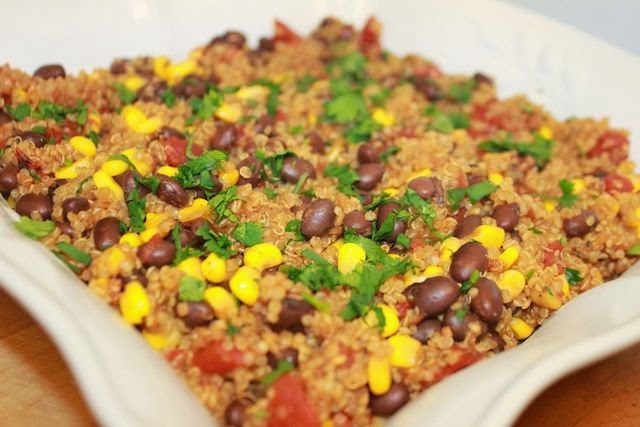 Finding an interesting but still really simple gluten free recipe on my Pinterest board, I decided to go for this Mexican style quinoa dish. Loving all the bright colors and the healthful ingredients, I put it together for a recent We Heart Astoria get-together. Received well by my colleagues as well as by Dan, I'll certainly be making it again and will probably add a bit more protein to it, including cheese and grilled chicken. I love this dish because it takes only about a half an hour to put together and doesn't require any special ingredients - it's the perfect thing to make with a lot of leftovers in your pantry.